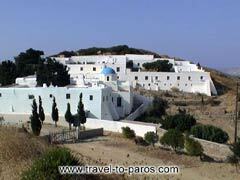 Are you familiar with Paros? Tell others your opinion. Write a review. Paros is one of the most beautiful islands in the complex of Cyclades. It belongs to the famous travel destinations with international fame, due to its natural beauties, settlements and tourist infrastructures. This combination will make your holidays unforgettable. The island is located in the center of Cyclades islands, west of Naxos, east of Antiparos and 90 n.m. from the port of Piraeus. It is the 3rd in size island after Naxos and Andros, with a 195 sq. km extend and a length of shores that reaches up to 118,5 km. 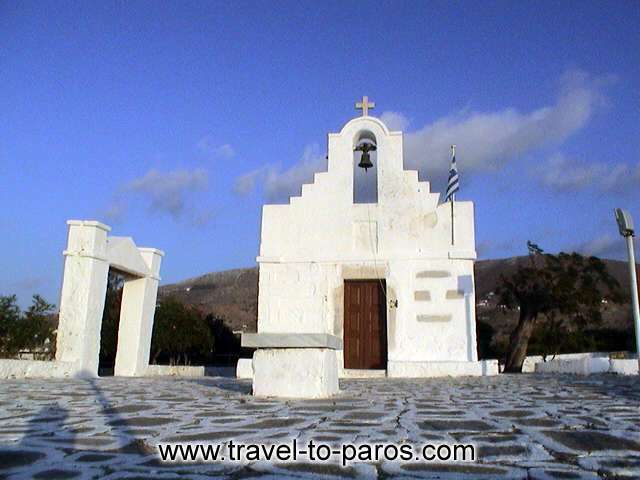 Paros' history goes back centuries. From ancient times already, due to its central geographical location in the heart of Aegean Sea, was the leader who changed the route of Cyclades. It was the administrative and commercial center of Aegean and the crossroad of different civilizations. The island met times of glory and financial robustness, but also times of decline. All its past is expressed in the remains of the archaeological sites, in the historic monuments and in museums that host archaeological findings. Grandiose Byzantine churches and monasteries with the architecture of Cyclades express the deep faith of its residents. 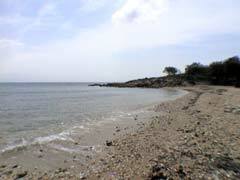 Paros belongs to the fertile islands of the complex. During the past years, viniculture has given great results. The wines of Paros are famous all around the world for their fine taste. 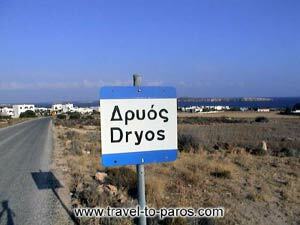 Mineral resources of Paros are known all around the world. The history of Parian marble extraction dates back to protocycladitic era. This marble is considered unique in the whole world. Its special characteristics that make it different is its limpidity and feel but mostly its clarity and transparency. Most of the masterpieces of ancient times are made from this marble (Aphrodite of Milos, Hermes of Praxiteles, Nikki of Paros, Nikki of Samothraki). 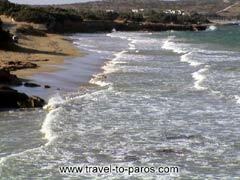 Paros has beautiful beaches that enchant every visitor. The famous Kolymbithres, Chrysi Akti, Pounda, Livadia, Logaras, Alyki, Piperi, Abelas, Drios, etc, are some of the most popular beaches, ideal for relax and water sports. Touring around Paros will fill you with unique pictures. Walking in the narrow, with pebbles, paths, you will be beguiled by the magnificent atmosphere of Cyclades and the sights all around the island. Naoussa has the most picturesque fish port in Aegean Sea. Visit it and dine viewing the best sunset in the whole island. If you want to travel back to time, don't miss visiting the villages of Lefkes, Marpissa, Alyki, Abelas, Drios, Piso Livadi and Pounda. The island has a lot of luxurious hotel complexes and rooms to let, for the demands of every visitor.